Contact lenses are a popular choice for vision correction because—unlike eyeglasses—they sit on the eye and therefore provide full peripheral vision. However, taking proper care of your lenses is crucial for the health and safety of your eyes. 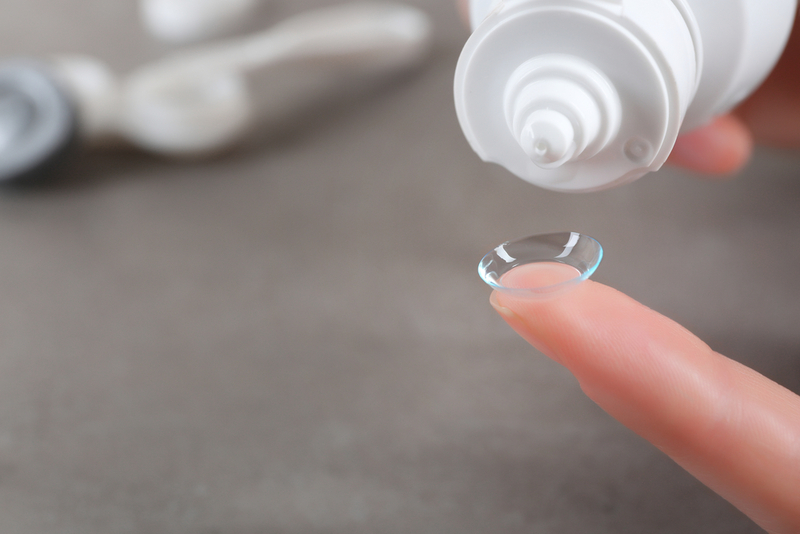 The experienced eye doctors at Reed Eye Associates in Pittsford, NY, are here to discuss what to do and not to do when it comes to cleaning and wearing your contact lenses. Store lenses in a proper case. Always store your contact lenses in a proper case so that you can avoid accidentally throwing them out. Clean the case after each use with warm soapy water to avoid bacterial contamination. You should also replace the case every three months. You should always use fresh solution for cleaning and storing your contact lenses. Using old solution increases the risk of contamination and can lead to an eye infection. Put contact lenses in your mouth. Your mouth and saliva are full of bacteria, which is why it’s unhygienic to put contact lenses in your mouth. If you need to moisten your lenses, use a special contact saline solution. Wear lenses if your eyes are irritated. If your eyes are red or irritated, remove your contact lenses and wear glasses instead. Your eyes could be irritated due to a tear in the lens or the presence of bacteria. Continuing to wear them will only worsen the problem and prevent recovery. Scheduling an annual exam with your eye doctor is also important to ensure your contact prescription is up to date. If you’re searching for an eye doctor in the Pittsford, NY, area, turn to the team at Reed Eye Associates. They offer comprehensive eye exams and contact lens fittings, along with an impressive selection of eyewear. Call (585) 544-6680 today to schedule an appointment, or visit their website for more information about their full list of services.